After our stay at the Hi Class Pension in Namhae, we had breakfast at the Hilton and then set out for some sightseeing. If we hadn’t been going to the Hilton, we might have never noticed the art village, but we are so glad that we stumbled across it. Can you spot the Hilton in the background? 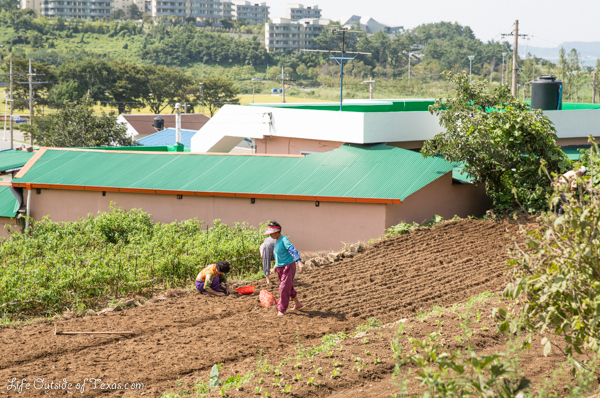 Namhae Island is a really rural area full of rice and garlic fields. 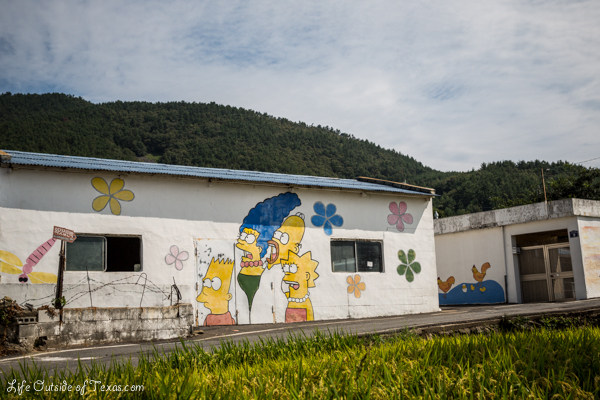 As we pulled out of the Hilton, we spotted a mural of The Simpsons. I decided I wanted to explore further so we drove up the narrow street through the village. Meagan is from Texas and Dave is Australia. They met and fell in love with South Korea. They've continued living the nomadic expat lifestyle and are currently residing in Kazakhstan. How to Pronounce Korean Words... Without Learning Hangul! Garden of the Morning Calm is the most beautiful place that I've been in Korea!